As flu vaccination season begins, certified nurse practitioner Dayne Adkins from Akron Children’s Hospital Pediatrics, Warren West fields lots of questions from patient families about the vaccine. The answer, in both cases, is no. As for “stomach flu,” the influenza virus does not cause gastrointestinal illness. 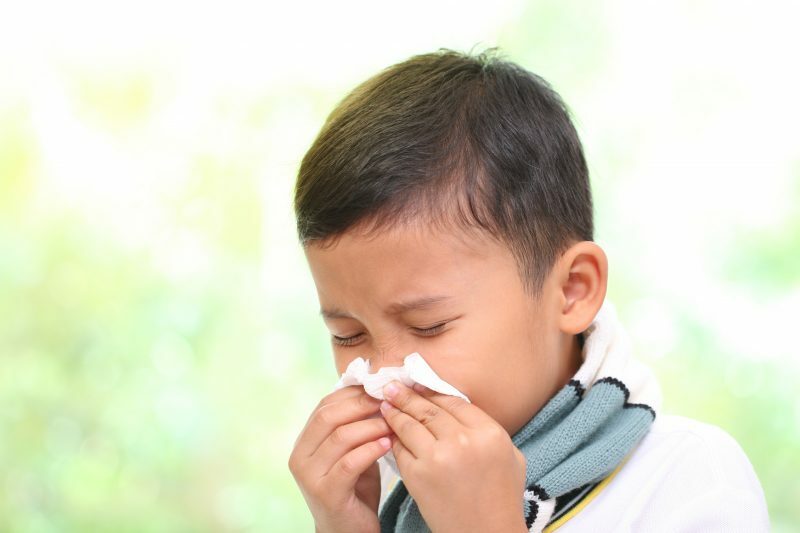 Influenza virus attacks the respiratory system – not the intestines. Flu shot season runs from September to April. “But the sooner you get it, the better,” Dayne said. The vaccine is recommended for children 6 months and older. Children up to age 9 who are being vaccinated for the first time need 2 shots, 1 month apart. The vaccine is formulated each year to match flu viruses expected to be circulating. The vaccine does not always prevent flu, but it cut the risk by almost half last year. A 2014 study showed that flu vaccine reduced children’s risk of pediatric intensive care admissions by 74 percent during the 2010-2012 flu seasons. For children and others who get the flu, doctors recommend the antiviral medication oseltamivir within 48 hours of symptoms. The medication can reduce the severity and duration of symptoms.